The words hybrid and hybridisation first became used commonly in 19th century in the context of rearing domesticated animals and plants. A mule for instance is a cross between a horse and a donkey. Rose gardeners created hybrid roses to achieve original colour combinations. These days hybrid technologies are equally if not more common. Among these hybrid cars are the most famous, a technology popularised largely due to the efforts of the Japanese car industry, not least the little known parts supplier Aisin Seiki Co. which invented the Hybrid Synergy Drive that made the Prius an international hit. Hybrid cars represent the classic hybrid concept: take two complementary species or systems, combine them to create a new species or solution that comprise the advantages of both systems, and at the same time mitigating their weaknesses. 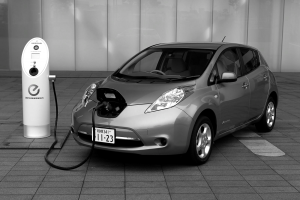 This article describes the current state and popularity of hybrid cars in Japan, and the effect the technology has had on driving transport technologies forward globally. The interesting thing to note about the rest of the top 10 is that they are all ultra-low gasoline consumption vehicles, hybrids or not. Toyota’s “Hybrid Synergy Drive” is so smart and expensive to develop that makers like Suzuki and Daihatsu have been forced to compete on fuel efficiency without such trickery, but instead by shaving away inefficiency from the traditional engine & power train set up, and by making the car itself lighter. So successful have they been with this approach that Daihatsu now boasts near-comparable fuel efficiency with Toyota and Honda’s hybrids, at much cheaper price points. It is interesting to note that Toyota have a majority stake in Daihatsu, so they are winning at both ends of the market. The Honda Fit, previously at #1, will likely bounce back to near the top of the sales ranking with its new model released in September 2013 that claims the highest fuel efficiency of any car in Japan, at 36km/l (86mpg), and with its reinvented drive train and dual clutch, and an EV only start that will bring it more in line with Toyota’s hybrid driving experience. Honda have just started building a second production plant in Brazil, the 4th biggest car market globally where they are already 7th in the market on sales. They see the Fit type car and its hybrids as being very relevant to Brazil’s growing fuel-cost-conscious middle class. Although many of Japan’s relatively affluent and brand conscious middle class will prefer a Toyota with a Hybrid Synergy Drive badge or a Honda with its own version, the low cost highly efficient manufacturing techniques developed by the other brands are very relevant to emerging markets, like Suzuki’s stake in the Indian car market for instance or Daihatsu in Indonesia. In other words, the innovations for Toyota have made the Japanese car market very lean and competitive when it comes to fuel, and hence more relevant to growth markets. This competitiveness has likely contributed to Japanese makers’ strength as OEM suppliers as well. Toyota’s hybrid drive supplier, Aisin Seiki Co., which Toyota has a minority stake in, supplies drive trains to Ford, NISSAN and Mazda. Suzuki’s are sold with GM badges all over the world, as Maruti-Suzuki in India, to name just a few relationships. 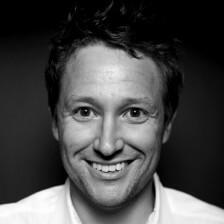 The advantage of hybrid technologies is often misunderstood. The common perception is that because half the time the car is not using the combustion engine, it is more fuel efficient. Although this is somewhat true with Toyota’s Hybrid Synergy Drive, the real advantage is that the electric engine adds power when the car is accelerating, meaning that a smaller combustion engine can be used to deliver a satisfactory acceleration. The energy used is generated by the motion of the car itself and recovered during braking, which is itself very efficient, but the main efficiency is having a smaller engine that uses less gasoline. This situation is somewhat analogous to Apple computers being faster than PCs despite having slower clock speed processors, because of the holistic hardware-software design – they make more of what they have got. But are hybrid cars inherently better than gasoline only cars? Based on fuel efficiency, yes they are. Since they combine the advantages of energy recovery you get with an electric drive train, and hence smaller combustion engine, with the range and piece of mind of having a full tank of gasoline, it is the classic “best of both worlds” hybrid solution. But do you ever make back the incremental cost of buying a hybrid car over a conventional gasoline car? If you drive a taxi it is an easy equation, and indeed all the Toyota Crown taxis in Japan are steadily giving way to Prius. For those drive less, maybe the incremental cost will never be made back in fuel savings. Also, when you factor in the energy costs of producing a hybrid car, particularly the batteries, and the relatively short life of those batteries, are they actually better for the environment overall? Some argue that they are not, although battery technology is improving all the time and personally I see this as a necessary investment to get the world to a more eco transportation system. As noted above, hybrids have made the whole market more energy efficient, so their contribution to reducing overall emissions is already noteworthy. Anecdotally there are now so many hybrids on the roads in Tokyo that gasoline stands are having a hard time and many have closed down. Europe has also been on a trajectory to higher fuel efficiency, but with a quite different solution – diesel engines, despite the relatively dirtier exhaust fumes. Japanese makers like Toyota, Honda and NISSAN are all geared up to sell in the car-obsessed US, which makes Europe’s infatuation with diesel engines particularly perplexing, and is one of the reasons that German and French cars have such a stranglehold there. Indeed Toyota have even been forced into doing a deal with Mercedes to supply diesel engines for some of their European models, while Nissan’s Alliance partner Renault supply them with their 1.5L diesel engines which are used in a huge range of cars and trucks for both Nissan and Renault. A compelling side plot in the hybrid arms race comes from Mazda. They have their own version of hybrid, that they refer to as “the cross over without compromise”: a compact SUV that they claim has the best highway MPG of any SUV, including hybrids. Their “SKYACTIV” engine range achieves this by “reimagining every component to work together in unprecedented harmony”. It seems that the hybrid era has driven the Japanese “Kaizen” philosophy of incremental improvement to proven technologies, in this case the internal combustion engine to new levels. However, Mazda are using diesel to solve the same problem that Toyota’s Hybrid Synergy Drive solves, that of how to deliver powerful acceleration with a small engine. 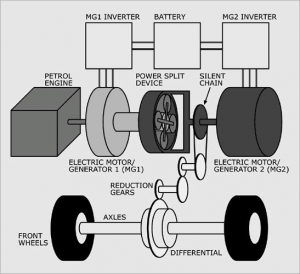 Electric motors are very good at delivering torque, and as it turns diesels can be as well. SUVs need high torque, because their drivers want strong acceleration despite their vehicle’s bulk, and so big engines are required. Even the Lexus hybrid SUVs only do 16km/l (38 mpg) or so. Mazda’s 2.2l SKYACTIV-D diesel engines advantage comes through a “revolutionary” low compression ratio as explained here. 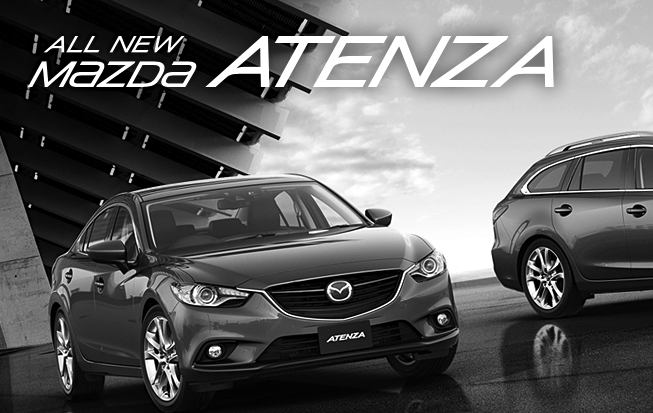 Packaged inside the compact SUV Atenza model it can do 20km/l +, and deliver the same torque as a 5l gasoline engine. When it comes to reducing emissions industrial transportation is just as if not more important than personal transportation, particularly in Japan where so many commute by public transport. Hybrid drive trucks and delivery vans are becoming increasingly common, and both the electric hybrid and low compression ratio diesel innovations are being delivering that high torque with small engines are even more significant to haulage vehicles. Given all this innovation and augmentation of the internal combustion engine technology, you can see why EVs are struggling to get to mass scale, despite the massive commitment made byTesla, NISSAN with the LEAF and the VOLT from Chevrolet, since they share the same battery costs problem with the hybrids, only they are more critical, and yet do not yet deliver the range and piece of mind you get with the gasoline tank and gasoline stand infrastructure, at least in terms of consumer perception. Also, although electricity has an inherently cleaner image than gasoline, when all your country’s electricity is generated by fossil fuel, as is the case in Japan since the nuclear reactors, the only viable low carbon energy source available at the moment, were switched off, there is no ecological advantage to electricity unless you are generating your own solar, and even then you are still dependent on the grid. All you are doing is changing the location of where you burn the fossils. I believe 100% in the future of electric cars. Already they are becoming quite common in Tokyo and their extensive range and the growing charging infrastructure makes them a viable choice, and also popular with car-sharing services. I really hope they become ubiquitous, combined with zero carbon electricity generation, but current battery technologies are still seen as a limiting factor for a lot of their would-be drivers. 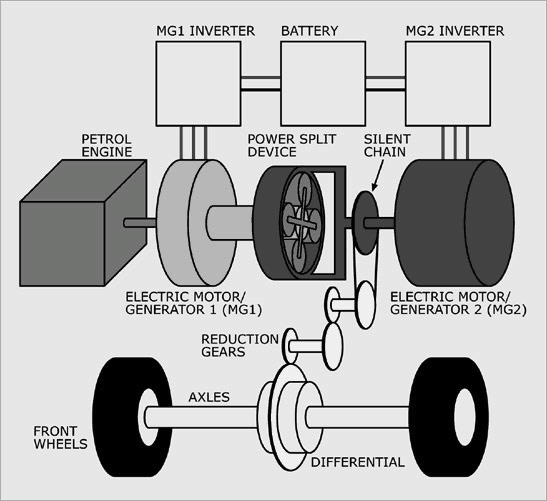 The fact that hybrids share similar limitations on the electric side, particularly now with the “plug in hybrids”, but are able to sell in bigger volume because they comprise the benefits of a gas tank, and hence help to drive down battery production cost and drive battery technology forward at the same time, hybrids are in many ways helping the EVs in the long run. There is a psychology dimension to this as well. Hybrids and now plug-in hybrids are getting the average driver accustomed to the idea of electric powered cars. Also, by becoming a mass selling option hybrids create a market for those who want to go that little bit further in the ecological dimension. If the Toyota Prius had not been such a mass seller, would as many people chosen to buy Tesla? Whether hybrids provide the best of both worlds is a subjective judgement, but the fact that hybrid cars have transformed the car market by putting pressure on all technology platforms to reduce fuel consumption and emissions is beyond doubt, and demonstrates that there are still areas where Japanese innovation is changing the world.